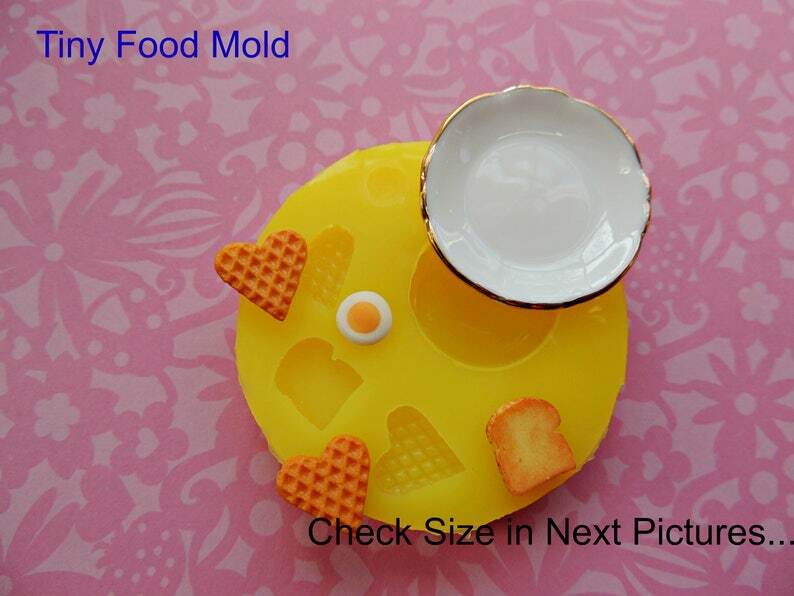 Listing is for the mold to make your own tiny food. Dollhouse mini food mold. Best used with Resin and or Polymer clay. Please check size prior to purchase. I wish I could give this 5 stars! When the mold that I received originally had a bit of a flaw in the toast mold , I contacted the seller. She offered a refund or a new mold. I chose a new mold. It's great! Perfect little bread slices for toast or for a lovely loaf of bread. She also included a mold for some Christmas cookies, in the spirit of the season! Great, friendly convo with the seller, and I'm so pleased with my mold! Looks good can't wait to try it. I love the material of this mold! It doesn’t get linty like other molds I’ve gotten! Very cute and works great. Thank you!